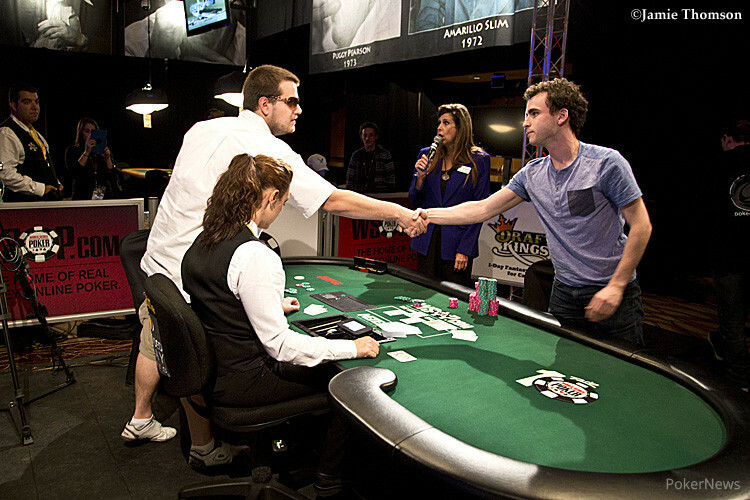 Dan Kelly burst onto the WSOP scene back in 2010 when he won his first bracelet in the $25,000 NLHE Six Handed tournament for a staggering $1,315,518. Since that victory, Kelly had cashed 22 more times and made five final tables. In 2013, he would cash a total of ten times. 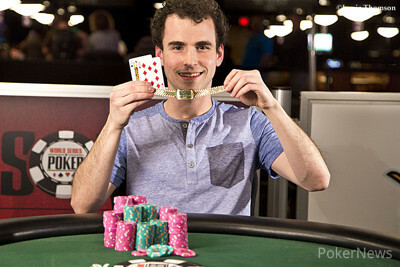 That second bracelet had proven elusive, however, and Kelly returned to the 2014 WSOP motivated to change that. Sunday, in Event #43: $1,500 Limit Hold'em he would do just that as he would emerge with all the chips after over 300 hands were played at the final table. "It's always nice to win," Kelly would tell the media after the event adding "it's hard to top the first one I won because it was my first WSOP and it was the 25K, but this one means a lot." It was a tough final table that included two five-time bracelet winners, Jeff Lisandro and David Chiu. Lisandro would fall early in seventh place winning $24,683 and Chiu would follow shortly in sixth place which was good for $32,338. With those two out of the way, the biggest threat to Kelly's second bracelet looked to be Brandon Shack-Harris who was coming into this final table already having a first and second place finish this summer. Shack-Harris would ultimately fall in third place for $78,335 and Kelly would head into heads up play against Yegor Tsurikov with a commanding chip lead. Tsurikov would mount a couple of small comebacks during heads up action but was ultimately ground down by Kelly's constant aggression. The final hand would see Tsurikov take up against Kelly's and when the board ran out to give Kelly a queen high straight, Tsurikov would have to settle for second place and a $120,501 payday. Kelly's parents were there to celebrate the win with their son - their first time ever watching their son play at a final table. "That was pretty cool," Kelly would say when asked what he thought about that. With this being only one of two limit hold'em events on the WSOP schedule in 2014, a total of 657 entrants would turn out for this event creating a prize pool of $886,950. Plenty of big names would take their shot and many would see their bracelet dreams come to an end on day one including Tom Schneider, Rep Porter, Marcel Luske, Barry Greenstein, Greg Mueller, Stephen Chidwick, Humberto Brenes, Jeff Gross, and Eric Buchman. There were plenty who would make deep runs, make the money, but fail to reach the final table. This included Daniel Negreanu who recorded his 75th career WSOP cash finishing in 63rd place for $2,926. Others joining Negreanu in cashing were Steven Wolansky (10th - $11,681), Mitch Schock (17th - $7,459), Sam Barnhart (23rd - $6,048), Jeff Shulman (25th - $6,048), and Terrence Chan (47th - $3,459). This concludes PokerNews coverage of Event #43. Thank you for tuning in and make sure to follow along with the rest of our WSOP coverage the rest of this summer. Yegor Tsurikov raised, Dan Kelly three-bet and Tsurikov got the rest of his chips in the middle with a four-bet. Kelly called it off to put Tsurikov at risk. The dealer put out a board of and the straight of Kelly saw Tsurikov’s attempt at a comeback from his chip deficit finally come to an end as he was eliminated in second place. 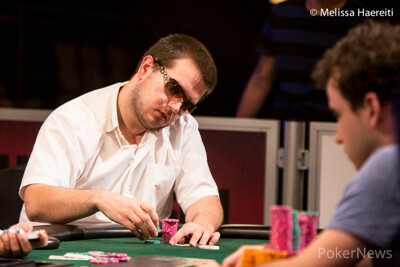 Hand #327: Yegor Tsurikov raised and Dan Kelly made the call. They saw a flop of . Kelly checked and a bet from Tsurikov took it down. Hand #328: Kelly raised and they saw a flop of . Tsurikov checked and a bet from Kelly won that pot. Hand #329: Tsurikov raised and Kelly put in the call. The flop was . Kelly check-called a bet from Tsurikov. The hit the turn and this time Kelly went for a check-raise and Tsurikov made the call. The river was the and both players checked. Kelly won with for a rivered pair and Tsurikov was a little dismayed to see that. Hand #330: Kelly raised and Tsurikov folded. Hand #313: Yegor Tsurikov raised and Dan Kelly called. The flop came and the short-stacked Tsurikov would get the rest of his chips in and be at risk against Kelly's . Tsurikov held and was ahead. The turn was the and the river was the and Tsurikov scored a much needed double up. Hand #314: Kelly raised and Tsurikov folded his big blind. Hand #315: Kelly received a walk. Hand #316: Kelly raised, Tsurikov called and the flop came . Tsurikov checked and Kelly bet. Tsurikov raised and Kelly let it go. Hand #317: Tsurikov raised and Kelly called. The flop came and Kelly check-called a Tsurikov raise. The turn was the and both players checked. The river was the and Tsurikov would fold when Kelly bet. Hand #318: Kelly raised and Tsurikov folded. Hand #319: Kelly received a walk. Hand #320: Kelly raised and Tsurikov called. The flop came and Tsurikov check-raised Kelly and Kelly made the call. The turn was the and Tsurikov bet and Kelly called. The river was the and Tsurikov bet again. This time Kelly would not call. Hand #321: Kelly received a walk. Hand #322: Kelly raised and Tsurikov called. The flop came and Tsurikov check-folded to Kelly. Hand #323: Kelly received a walk. Hand #324: Kelly raised and Tsurikov called. Tsurikov check-folded on the flop. Hand #325: Kelly received a walk. Hand #326: Kelly raised, Tsurikov three-bet, and Kelly called. Kelly folded to Tsurikov's bet on the flop. Hand #304: Dan Kelly bet and the flop was . Check from Yegor Tsurikov and a fold when Kelly bet. Hand #305: Tsurikov raised and the flop was . Kelly check-called a bet. The turn was the and again check-bet-call. The saw Kelly check –raise and when Tsurikov called the for Kelly was good. Hand #306: Raise and take it for Kelly. Hand #308: Kelly raised and they saw a flop. Tsurikov check-called a bet. The turn was checked. The river [8c saw Tsurikov bet and Kelly call. The straight for Tsurikov was good. Hand #309: Tsurikov raised and the flop was . Both checked and the turn was the [ah. Check again to the river . Kelly bet and took it down. Hand #310: Kelly raised and took it down. Hand #312: Kelly opened and they saw a flop of . Tsurikov called a bet to see the turn. Tsurikov checked and folded to a bet from Kelly. We're back from dinner and cards are in the air. Players are on a one hour dinner break.